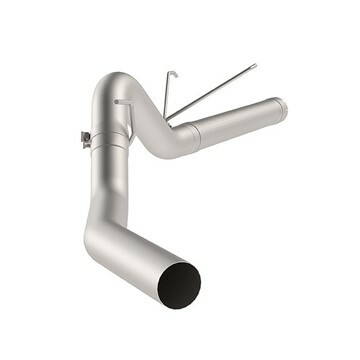 MBRP's aluminized AL INSTALLER Series 4" DPF (Diesel Particulate Filter) Back exhaust system for your 2010-2012 Dodge Cummins 6.7L diesel truck comes with dual outlet T304 polished stainless exhaust tips. MBRP's AL INSTALLER Series 4" DPF Back DUAL exhaust kit for your 2013 Dodge 6.7L Cummins 2500 and 2013-2018 3500 diesel truck w/ leaf spring suspension. Fits all bed/box sizes EXCEPT CC/SB. Exhaust tips are included. MBRP's AL INSTALLER 4" DPF Filter Back COOL DUALS exhaust kit for your 2014-2018 Dodge 6.7L Cummins 2500 diesel truck w/ coil spring suspension. Fits all bed/box sizes EXCEPT CC/SB. This kit does NOT fit Dodge 3500 trucks. Exhaust tips are included. MBRP's AL INSTALLER 4" DPF Filter Back COOL DUALS exhaust kit for your 2014-2018 Dodge 6.7L Cummins 2500 CC/SB diesel truck w/ coil spring suspension. This kit does NOT fit Dodge 3500 trucks. Exhaust tips are included. MBRP's 4" DPF (Diesel Particulate Filter) Back XP Series Dual Exhaust System for your 2010-2012 Dodge Ram Cummins 6.7L diesel pickup. Made from 16 gauge T409 stainless steel, this kit also comes with two T304 polished stainless exhaust tips. MBRP's XP Series 4" DPF (Diesel Particulate Filter) Back DUAL exhaust kit with a T409 stainless steel finish for your 2013 Dodge 6.7L Cummins 2500 and 2013-2018 Dodge Cummins 6.7L 3500 diesel truck w/ leaf spring suspension. Fits all bed/box sizes EXCEPT CC/SB. T304 polished stainless exhaust tips are included. MBRP's XP Series 4" DPF (Diesel Particulate Filter) Back DUAL exhaust kit with a T409 stainless steel finish for your 2013 Dodge 6.7L Cummins 2500 and 2013-2018 3500 diesel truck w/ leaf spring suspension. Crew Cab/Short Box only! Exhaust tips are included. MBRP's XP Series 4" DPF (Diesel Particulate Filter) Back DUAL exhaust kit with a T409 stainless steel finish for your 2014-2018 Dodge 6.7L Cummins 2500 CC/SB diesel truck w/ coil spring suspension. This kit does NOT fit Dodge 3500 trucks. Exhaust tips are included. 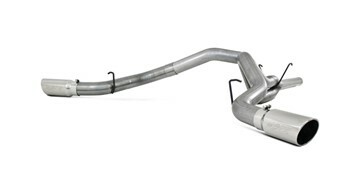 MBRP's Performance Series 4" DPF (Diesel Particulate Filter) Back Exhaust System for your 2007-2009 Dodge Cummins 6.7L diesel pickup. Made from heavy gauge aluminized steel, this kit does not come with a muffler or exhaust tip. MBRP's Performance Series 4" DPF (Diesel Particulate Filter) Back Exhaust System for your 2010-2012 Dodge Cummins 6.7L diesel pickup. Made from heavy gauge aluminized steel, this kit does not come with a muffler or exhaust tip. MBRP's AL INSTALLER Series 4" DPF (Diesel Particulate Filter) Back Exhaust System for your 2007-2009 Dodge Cummins 6.7L diesel pickup. Made from heavy gauge aluminized steel, this kit includes a T304 polished stainless MBRP exhaust tip. MBRP's AL INSTALLER Series 4" DPF (Diesel Particulate Filter) Back Exhaust System for your 2010-2012 Dodge Cummins 6.7L diesel pickup. Made from heavy gauge aluminized steel, this kit includes a T304 polished stainless MBRP exhaust tip. MBRP's 4" AL INSTALLER Series DPF Back exhaust kit for your 2013-2018 Dodge 6.7L Cummins 2500/3500 diesel truck w/ leaf spring suspension. Fits only CC/SB size trucks. Exhaust tips are included. MBRP's AL INSTALLER Series 4" DPF Filter Back exhaust kit for your 2013-2018 Dodge 6.7L Cummins 2500/3500 diesel truck w/ leaf spring suspension. Fits all sizes of boxes & beds except for CC/SB. Exhaust tips are included. MBRP's AL INSTALLER Series 4" DPF Filter Back exhaust kit for your 2013-2018 Dodge 6.7L Cummins 2500/3500 diesel truck w/ leaf spring suspension. Fits all sizes of boxes & beds except for CC/SB. Dual outlet exhaust tips are included. MBRP's AL INSTALLER Series 4" DPF Filter Back exhaust kit for your 2013-2018 Dodge 6.7L Cummins 2500/3500 diesel truck. Fits only CC/SB size trucks. Exhaust tips are included via a dual outlet exit. MBRP's 4" DPF (Diesel Particulate Filter) Back BLK Series Exhaust System for your 2007-2009 Dodge Ram Cummins 6.7L diesel pickup. Made from heavy gauge black coated aluminized steel, this kit also includes a black coated exhaust tip. 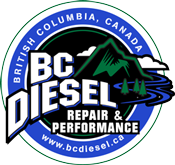 MBRP's 4" DPF (Diesel Particulate Filter) Back BLK Series Exhaust System for your 2010-2012 Dodge Ram Cummins 6.7L diesel pickup. Made from heavy gauge black coated aluminized steel, this kit also includes a black coated exhaust tip.